The Blue Sky Branded Umbrella is a beauty to behold. 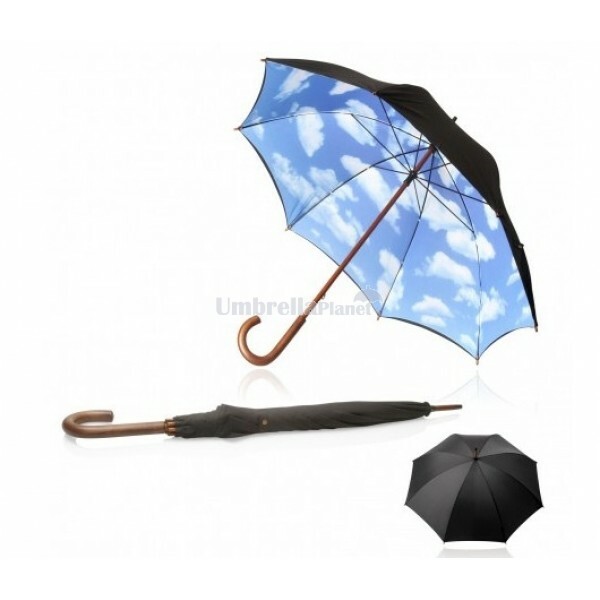 With its Blue Sky and cloud inside and black outer cover, this umbrella can be branded to make a statement. Additional features of the Blue Sky Branded Umbrella include a wood shaft, wood hook handle, polyester/nylon material and Ultraviolet Protection Factor (UPF) 50+ which provides exceptional shade from the sun and blocks out 97.5 - 98% of radiation. This 60 cm umbrella Blue Sky Branded Umbrella also has a manual open mechanism and can be utilised for promotional events and corporate branding to capture a wide audience. It can be customised to include a basic shape according to your design, with the print areas being 180 x 110mm (per panel.